Even if you have broken your vows a thousand times, it doesn’t matter. In our time of global crisis or transition, there is nothing more vital to humanity than the awakening of every cell of it’s body to the deep knowing, that despite the diverse forms of individual and cultural expression, we are essentially one Body, one Heart, one Spirit. There is perhaps no one person in history who’s words are recorded, who expressed this essential unity more eloquently and passionately than the great 13C Persian Sufi Poet and Mystic Jelaludin Rumi. In fact he said that his words would return at a future time of need, and ‘grow green over the earth’. Rumi’s profound awakening and poetic genius enabled him to address the deepest pain and need in every apparently separate self, of whatever tradition or culture. So pleads Rumi, having given his life with searing, passionate intensity to the “Life of life” and reached through the veils to Divine Gnosis. Out of outrageous freedom, in urgent compassion, he calls all, who like thirsty fish swimming in an ocean of water, are suffering the pain, the pangs, of separation. Your sleep has been heavy. For life is fragile and quick. Heart, aim yourself at Love! Jelaludin Rumi was an Islamic teacher, perhaps the most brilliant of his time, in 13C Konya, capital of the Seljuk Empire in Persia. He was already highly acclaimed with thousands of disciples, when at the age of 37 he met an extraordinary Dervish who’s presence initiated him into the great undoing, the Fire of total transformation. 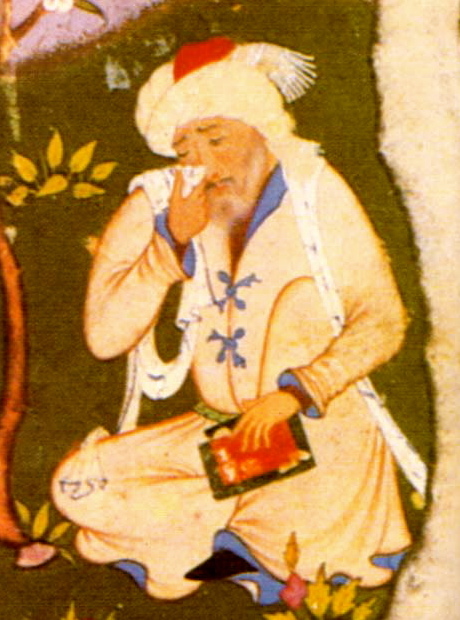 When Rumi was sufficiently ‘cooked’, Shams of Tabriz disappeared, leaving Rumi whirling in bewildered ecstatic communion with the Mystery, a beacon of love and freedom in a time of catastrophic conflict in the middle east. He began pouring out a torrent of passion and wisdom, love poetry, teaching tales, music, dance and compassionate action. People of all traditions were drawn to him and there gathered about him the beginnings of new dervish order, the Mevlevi, most commonly known these days for their Whirling Ceremonies. But he spoke, and speaks to all, beyond tradition and culture, to the heart of the human being, calling all to the essential religion – to Love. His beloved Friend, Shams of Tabriz, said: ”I have nothing to do with mundane concerns, I have come to be with and put my fingers on the nerves of those who guide others to God”. The result of this meeting was the most sublime mystical voice, speaking across the centuries with utter authority, total passion, with delicacy, humor, and encouragement to all who are stirred to awaken from the dream (or nightmare) of separation from their source and true nature. Does anyone need a light? 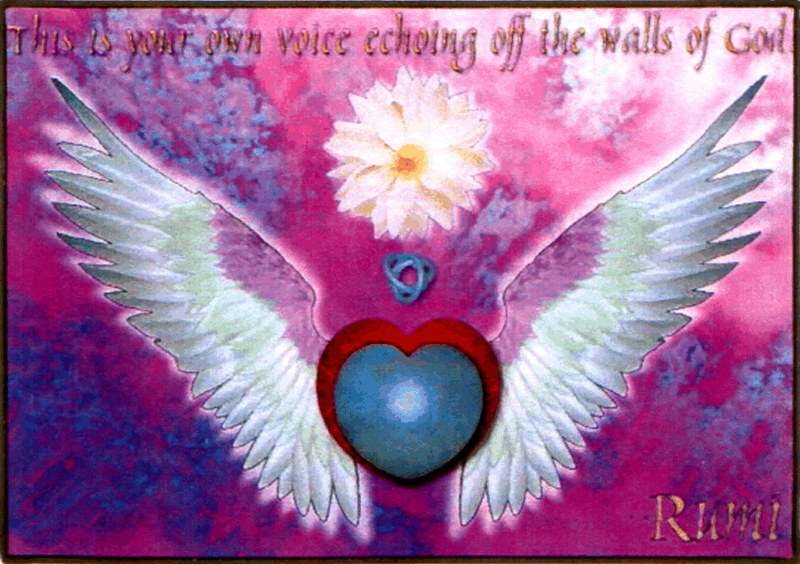 Rumi’s poetry can touch, melt, nourish, bewilder, open, teach at so many different levels, and with astonishing power. Don’t hold back in fear and mistrust, he says. Half-heartedness does not reach into the majesty. Trying to get in. The door opens. Dragging us to God by secret ways. Rumi’s words are full of the paradoxes of enlightened experience. We are tasting the taste, this minute, of eternity. We are pain, and what cures pain, both. Rumi uses all sorts of metaphors to point to the immanent, ever present truth, recognized in all the essential teachings of the perennial wisdom. Rumi’s words, spoken spontaneously, were recorded for posterity and still carry after 800 years an amazing power to touch each heart, to nourish, awaken, and fan the flame of our true being, our true passion for the real. Flee to me without delay. At the time, in the early seventies, the translations of Rumi were rather stodgy Victorian versifying, beautiful, but distant and archaic. Also I never wanted to be a follower of anyone, and I pursued various exploits, tasting and getting to be acquainted with all the psycho-spiritual teachings then becoming available in their bewildering diversity. But somehow I intuited that Rumi’s voice was speaking from a unified and resonant peak of realization that could be trusted, if not reached. Eventually the new translations by Coleman Barks, Andrew Harvey, Kabir Helminski, Daniel Liebert and others, began to reach me. At the time I was, after despairing of intense psychotherapy to ‘cure‘ my pain, finding myself drawn to begin some kind of artistic training based in the esoteric understanding and insights of Rudolf Steiner. Then I met a fellow traveler, colleague, and practitioner of the art and crafts of the spoken word who was a lover of Rumi too, and soon we began daring, to perform, Rumi’s poems and stories. Despite severe bouts of shame, unworthiness (and at times fear of divine wrath descending on us. for daring to represent such sublimity!) we were driven by our attraction to Rumi’s flame to continue to perform his works, together and separately. Life brought many other events and tasks, I was acting, performing powerful roles in Shakespeare, in Steiners mystery dramas, telling vibrant African Tales, teaching drama, storytelling and speech. I had also been experimenting and developing what I called ‘Presence Work”, where individuals support each other in a group by giving open attention to each other, or to one person , and surrender to the ‘cooking’ that ensues. As time went on, and at each revisiting of Rumi, I kept discovering deeper resonances as the beauty and truth of Rumi’s words hit deeper strata in my soul. Then, coming to an exhausted end of years of touring, and though trying to continue to teach, I began to feel as though I was ‘dying’, that I could no longer avoid the awful pain of separation at the root of my existence, that life was unendurable without facing and resolving that pain. I felt like I was falling, falling inexorably out of any capacity to get by on the ‘self’ I had been all my life and no ‘get fixed’ attempts would work, no ‘good advice’ would help, and an inconsolable grief took hold of me. It was as if my attraction to Rumi had been preparing me for years to be able to understand and bear what was now actually happening to me. This ancient, seemingly inconsolable pain of separation from Being was now with me all the time, day and night, sometimes as an excruciating gnawing sensation, almost but not quite physical. No amount of esoteric knowledge, meditative technique, philosophical or psychological consolation, nor ordinary or extraordinary distractions of any kind, made any fundamental difference to its insistent, crushing pressure. I wanted to die, to cease existing altogether. For, with grim humour I realized that, in my early twenties, I had in a kind of precognitive wisdom, studied so much about death and ‘afterlife’. Now I could not allow myself that ‘way out’- I knew it would not change anything, only create deeper suffering. I remember walking on a hillside in Holland, tears streaming down my face, sobbing hopelessly in this bewildering pain: “Even if You, Christ were holding my hand now, it would make no difference, I would still be separate!” And I realized that it was not literal death that was calling but death of the fundamental sense of being separate from Being, from Truth, from Love at the core of the egoself structure. Well there were several years of intense suffering, often coming as a huge wave until I felt I could bear no more and would drown, then a miraculous lull or respite, and then another wave. Each wave bringing different dregs from my unconscious washing through me. The more I resisted the longer the pain would persist, Slowly and painfully I learned that the best way through was simply to be with it and feel it as much as my fear would allow. Gradually I began to notice that at some deep level there was a ‘Presence’ as I called ‘it’ always with me, and that the fundamental separateness was dissolving or dissolved, though most of the patterns of my body-mind continued (and continue!). Mysteriously, though I often feared for my literal survival, life seemed to provide me with just enough at each point. I would be led to another insight or perspective, then stripped of it, as though anything I wanted to rely on would be taken away, until eventually I started to ‘get’ the logic of how I was (and still am) being forced, dragged, into deeper and deeper trust in the mystery itself, rather than any method, person, or form. Yet more and more at some mysterious level, there is an indefinable sense of fundamental peace and ‘OK’ness in Being, a very subtle sense of unshakable ‘Isness’ even if circumstances seem disastrous, a strange sense of living at the core in some unlocatable ‘place’ or ‘nowhere’ not of this world, yet not separate either. “The only real rest comes when you are alone with God. “Being is not what it seems. And in this process it seems that the grace or ‘transmission’ that usually comes during Rumi performances grows deeper and is felt more palpably, by those present, particularly in the extraordinary silence that descends after all the words. To be simultaneously both a vehicle for Rumi’s message and a beneficiary is a glorious, humbling grace and unearned privilege. Sometimes rehearsing a poem, I am struck anew, and weep in awe and gratitude for the unbelievably miraculous grace of the whole mysterious affair – pain and all. * Gratitude to numerous helpers on the way, especially Christ, Rumi, Ramana Maharshi and his ‘offspring’, to Rudolf Steiner, Walt Whitman, Shakespeare, Hafiz, A.H.Almaas, Rens Hendricks, Judith Blackstone, Saniel Bonder and friends, Rene Hanson, to Aisha, Peter Fenner, Yogananda, and to friends and beloveds, past and present, to all lovers, and the mystery of The Beloved.